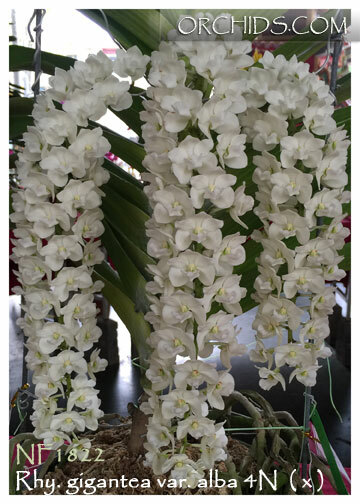 This particular strain of the alba form of Rhychostylis gigantea is from the tetraploid (4N) strain that received the high honor of Grand Champion at the 2009 Okinawa International Orchid Show in Japan ! 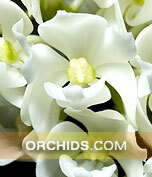 Bearing wider leaves and a more compact growth habit, it also produces superior round flowers. 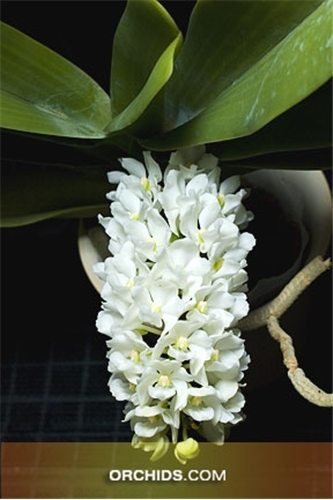 And its wonderful fragrance is a given for this species. Although a slower grower due to its 4N ploidy, it’s definitely worth the wait once it reaches maturity. Limited and Very Highly Recommended !